WHO IS PRO-MOTION NOTIONS and why should we order from them? We provide quality imprinted promotional products to assist in the implementation and development of EFFECTIVE marketing plans within your budget! Our "ON TIME OR IT'S FREE GUARANTEE" will help put your mind at ease. Since 1989 we have developed thousands of marketing programs and welcome the challenge of creating one for you. We invite you to experience our proven techniques and ideas to market your group. Our integrity will keep you coming back! As we grow as a company, our dedication to personalized services for each and every client remains our primary focus. We are a Florida state certified minority woman owned business. Pro-Motion Notions has been servicing organizations like yours for almost 30 years. We don't just claim to be the BEST our customer testimonials along with industry & community awards will prove so. We offer thousands of environmentally friendly items made of recycled or recyclable materials to market your business. We have an extensive line of Made in the USA products. We are happy to provide compliance certifications, inspection reports and quality control documents upon request for many of of items. Our first priority has been to treat EACH and EVERY client with individualized service. We have programs and products specific to the non profit fundraising markets. In January of 2014, we acquired Traci Keychain, a Manatee county competing firm. In March of 2007 we launched FastAdSpecialties to service our clients with RUSH production needs. In June, 2005 we opened Anchor Promotions...a division of Pro-Motion Notions specializing in event promotions. and in 2002 we acquired a competitor, Bay South Media. 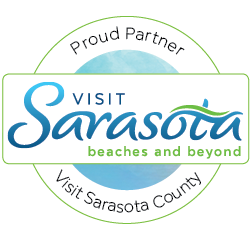 In December of 1998, we moved the headquarters to Sarasota, Florida from Buffalo, New York. 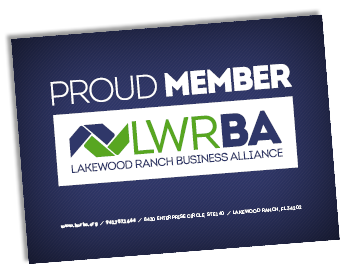 Locally we belong to the Lakewood Ranch Business Alliance, the Sarasota Convention & Visitors Bureau (Visit Sarasota), and several other groups including the Greater Sarasota Chamber of Commerce. Nationally we belong to the National Association of Female Executives, SAGE, PPAF, PPAI, UPIC, AIMastermind and other industry related national groups.